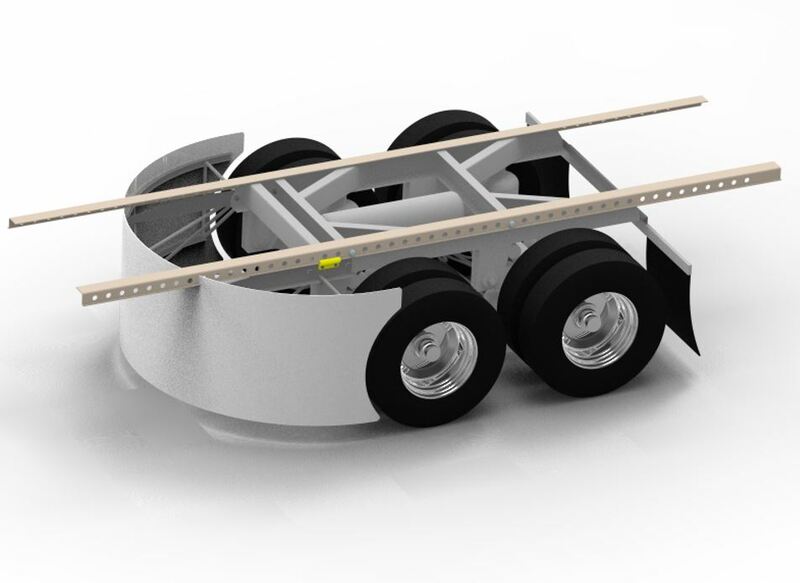 Our simple interface with the trailer's standard rails makes installation simple and easy. 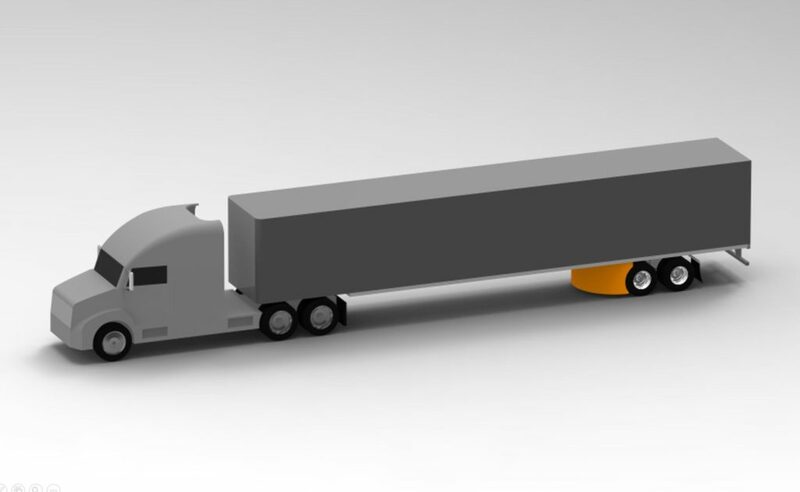 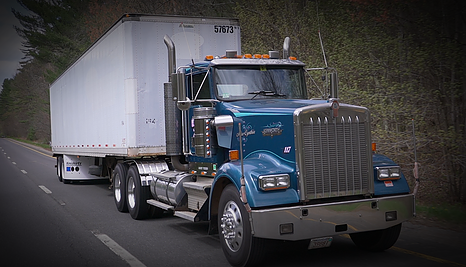 In fact, installation is so quick, that transferring the Miniskirt between trailers in your fleet is possible. 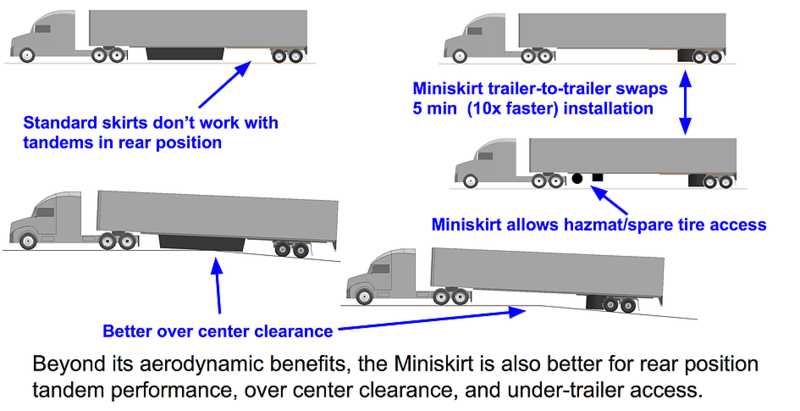 The Miniskirt has been developed to serve the needs of multiple trailer types including dry vans and reefers. 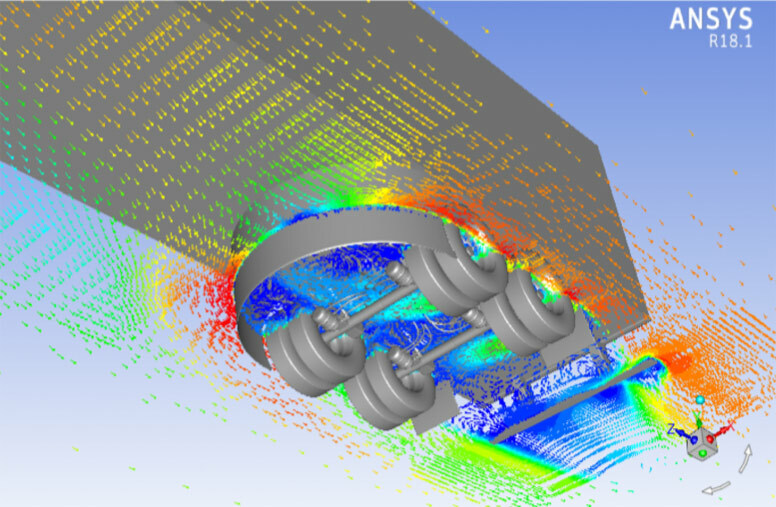 Our computer simulations and on-road experience has demonstrated the effectiveness and performance of the miniskirt in these installations. 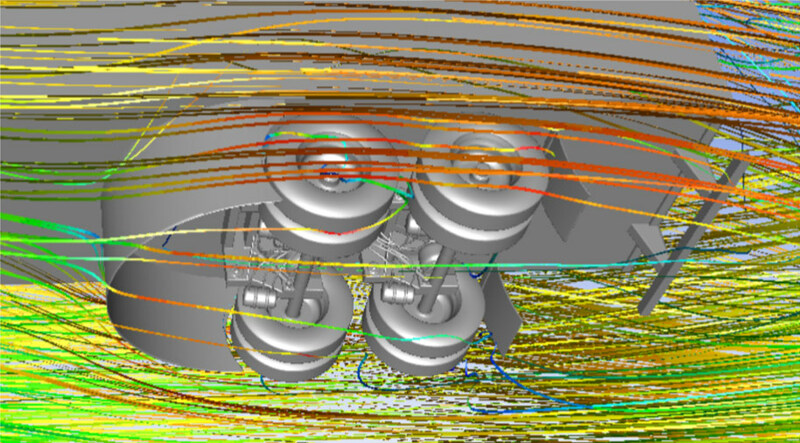 Extensive high fidelity Computational Fluid Dynamics (CFD) computer simulations have validated the superior aerodynamic performance of the Miniskirt.